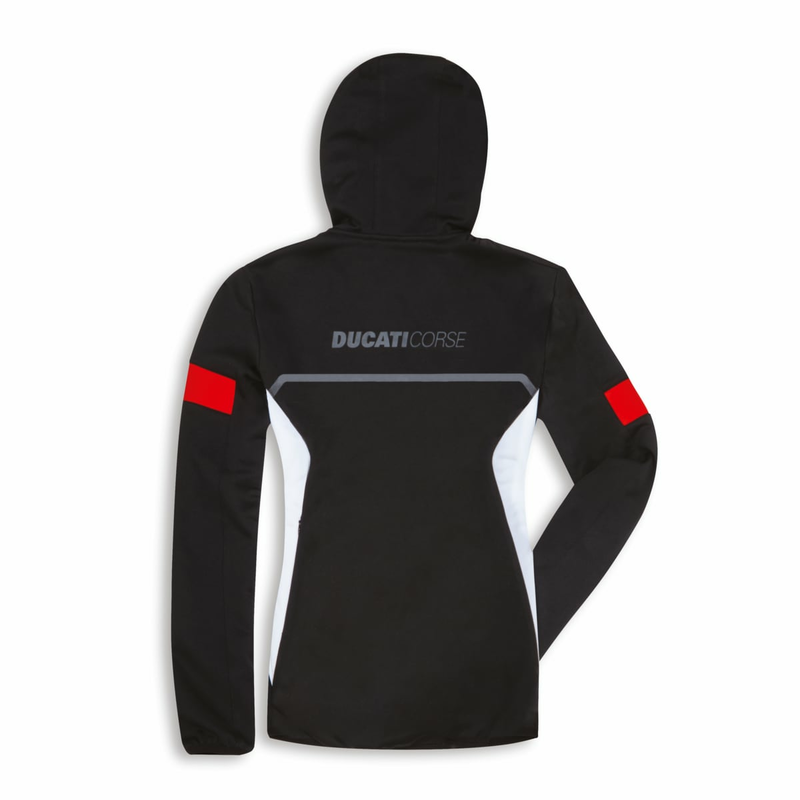 Ducati Corse hooded sweatshirt with a bold racing look designed for women. Highly technical, the sweatshirt guarantees good thermal insulation and breathability. 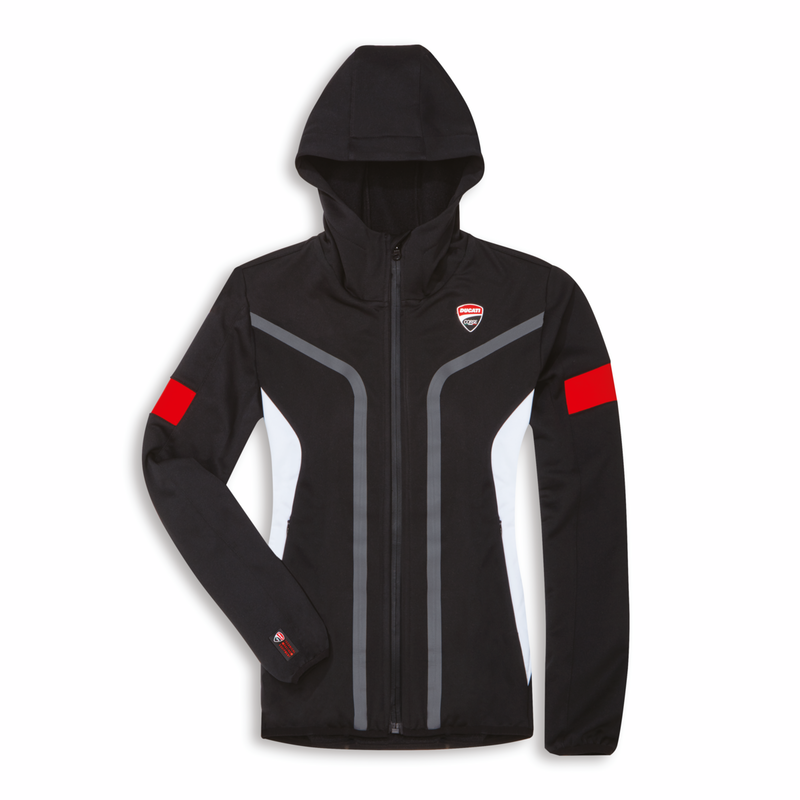 For those looking for Ducati comfort and style to wear in their free time.